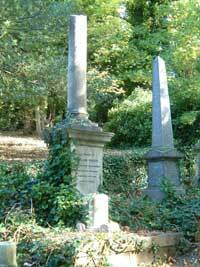 ​ We have a statutory duty to maintain our cemetery and crematorium registers in perpetuity. The registers contain a wealth of information, which can assist those undertaking the research of their ancestors. Get details of other useful records available from the council on our family history web page. An order form for genealogy research (PDF 80KB) is available for downloading and printing. Please provide as much information as possible as most of the records need to be examined manually. The full names of the deceased and their date of death will usually provide staff with sufficient detail to carefully search the Registers. Should the person named in correspondence be traced, then a summary of the information recorded in the cemetery/crematorium books will be prepared and sent to the correspondent. Regrettably, in the event of a search being unsuccessful, any fees paid cannot be refunded. If you are unable to download and print a genealogy research order form you can go to our publications order page and download a genealogy research order form is posted to you.